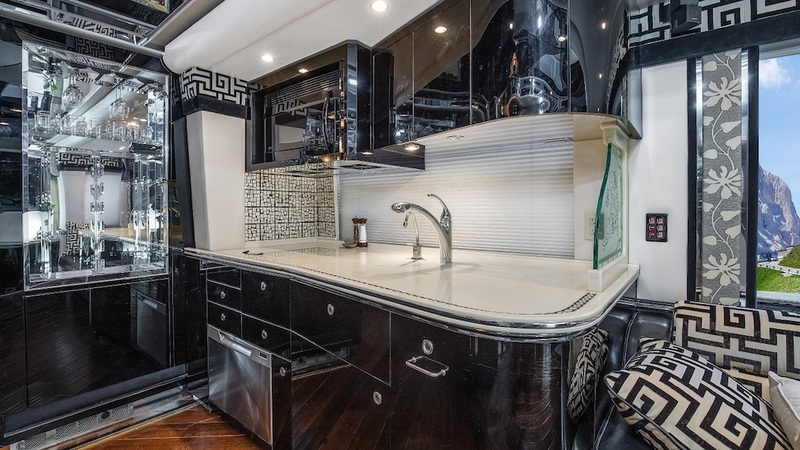 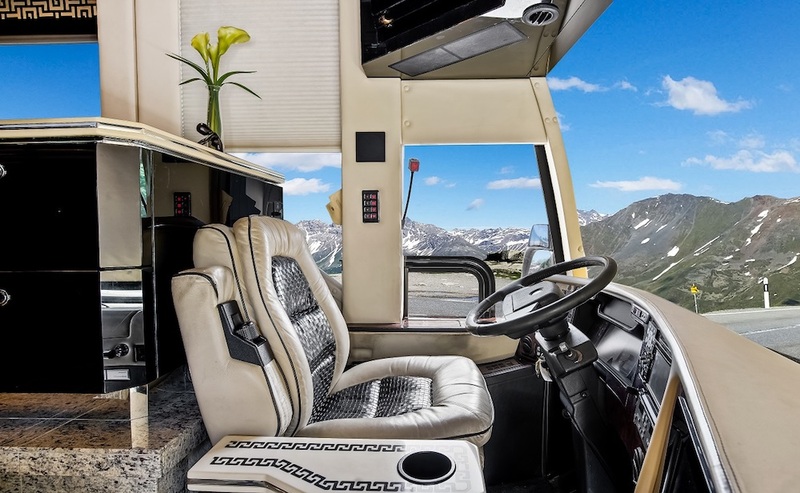 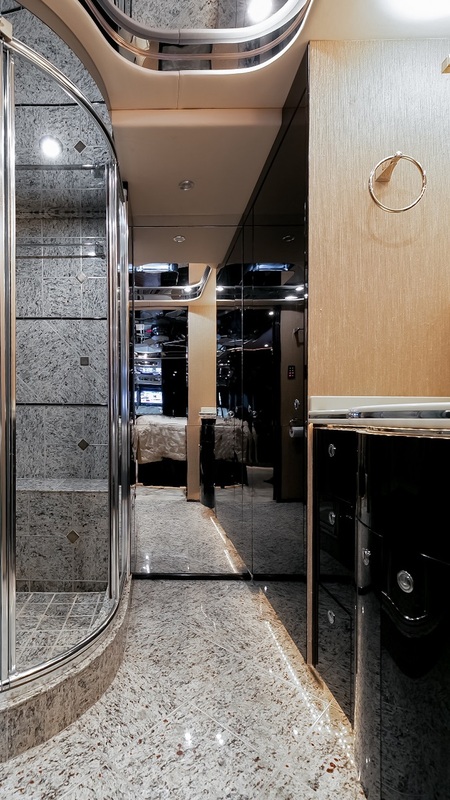 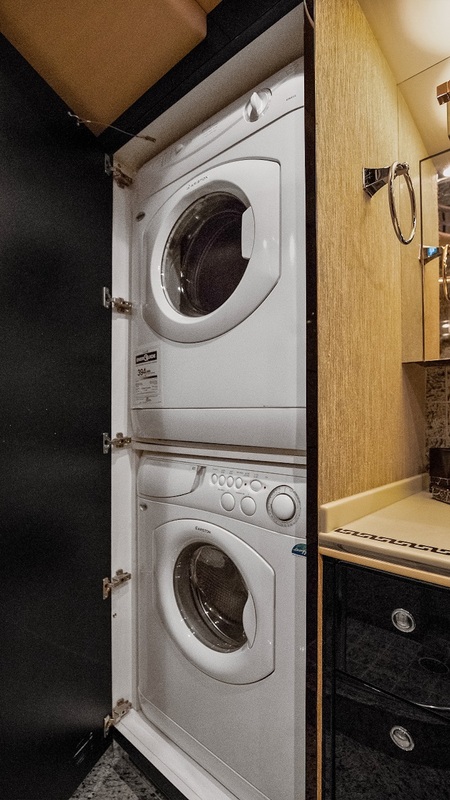 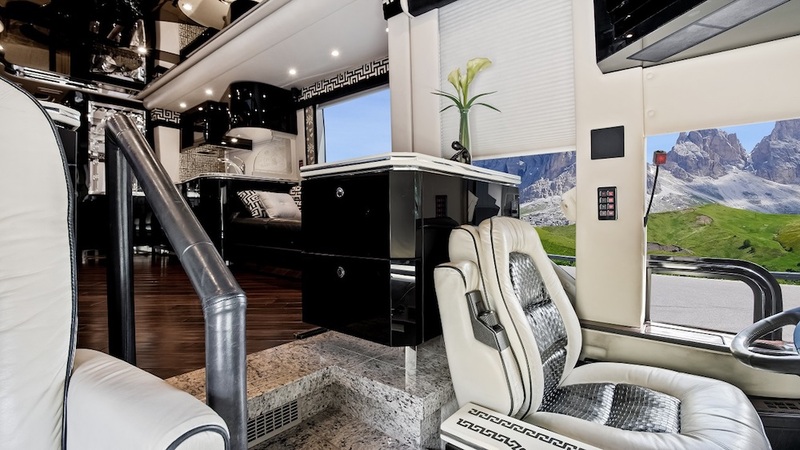 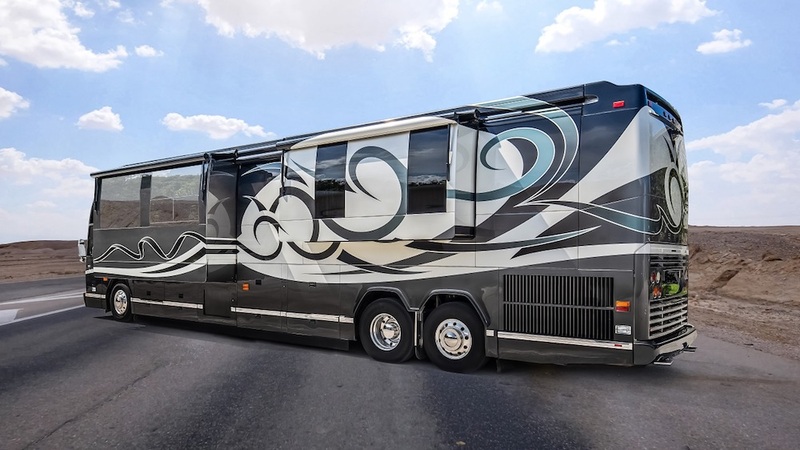 Your Search For A Bath & Half Prevost Conversion Is Over As Soon As You Contact Us To Learn More About This 2009 Featherlite Vantaré Double Slide Conversion. 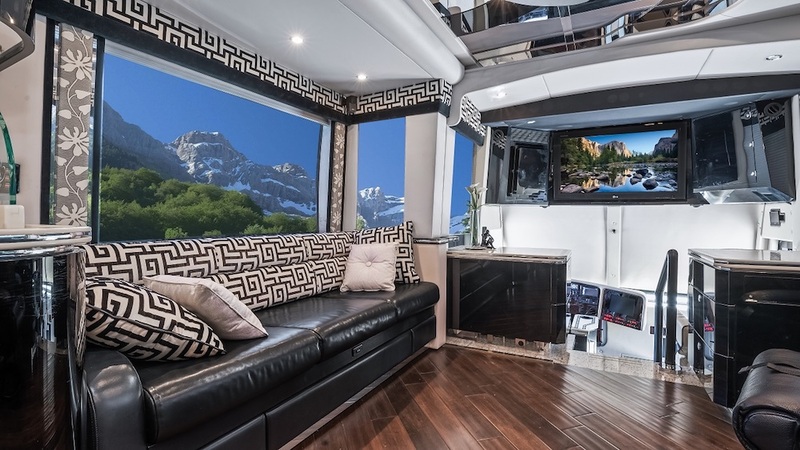 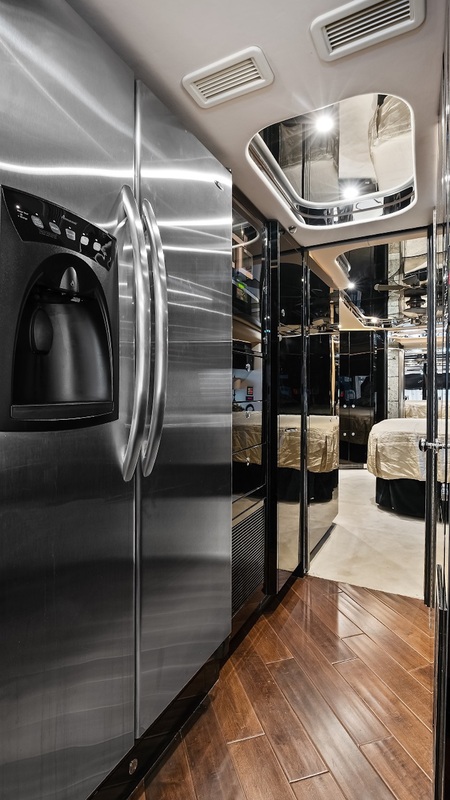 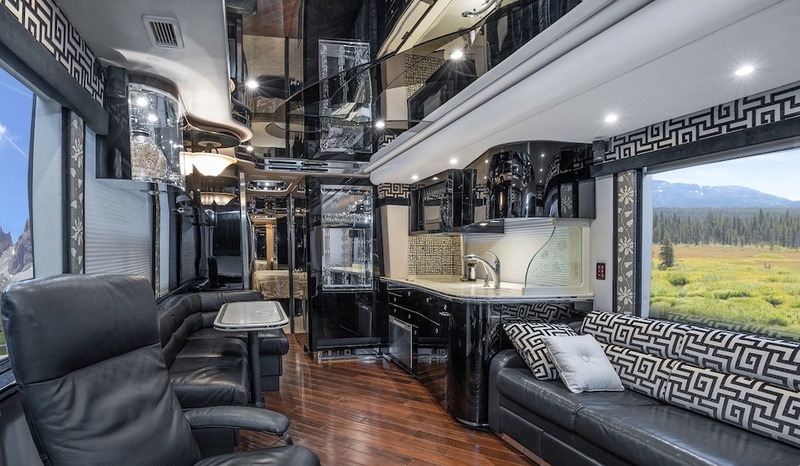 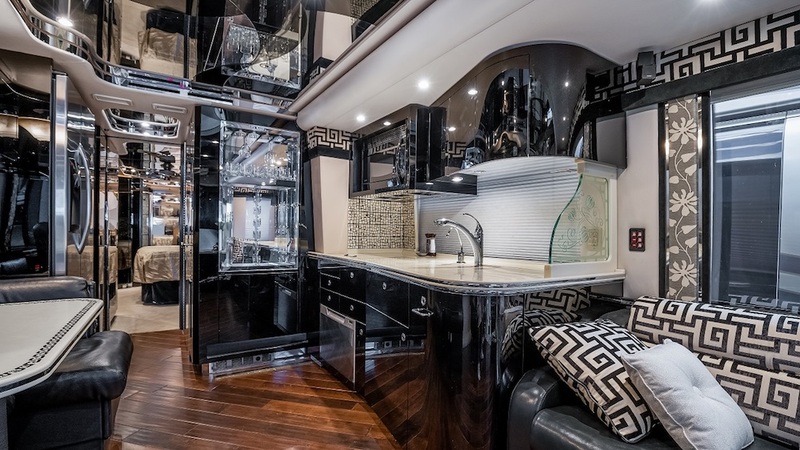 This Coach Is As Stunning Inside As It Is Outside With Tons Of Upgrades Including A Completer RTI Upgrade! 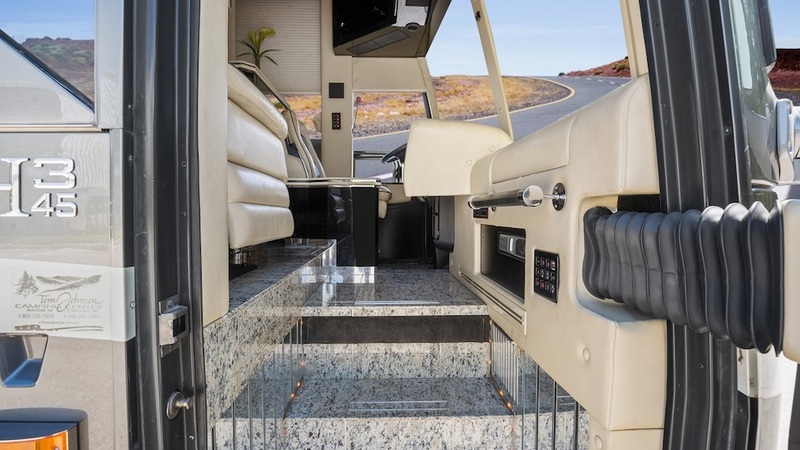 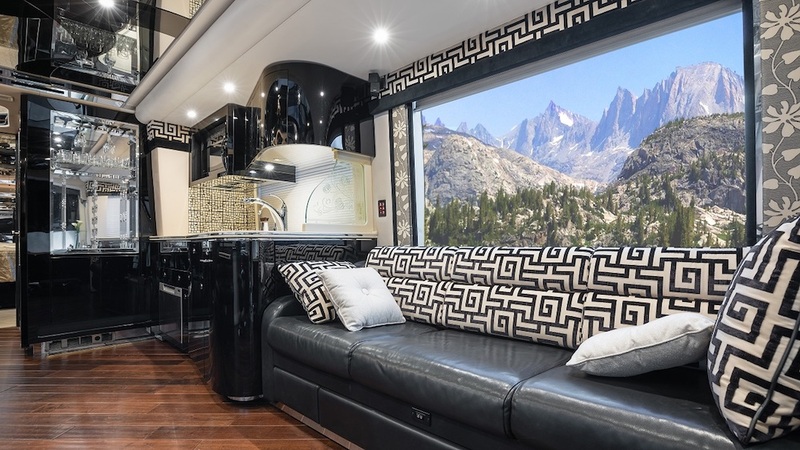 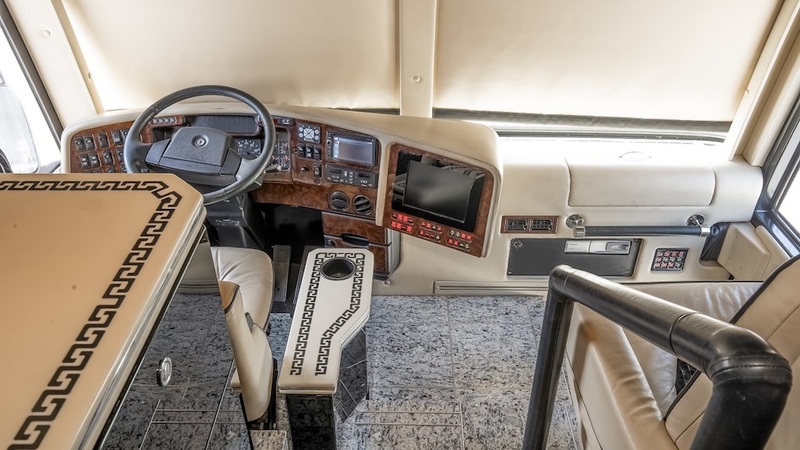 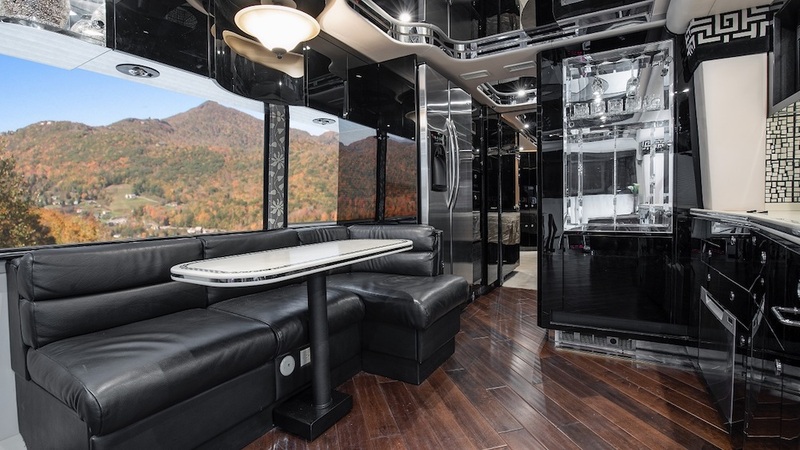 Stretch Out In The Spacious Salon On The Luxurious Coach Or Catch Up On Emails At The Desk. 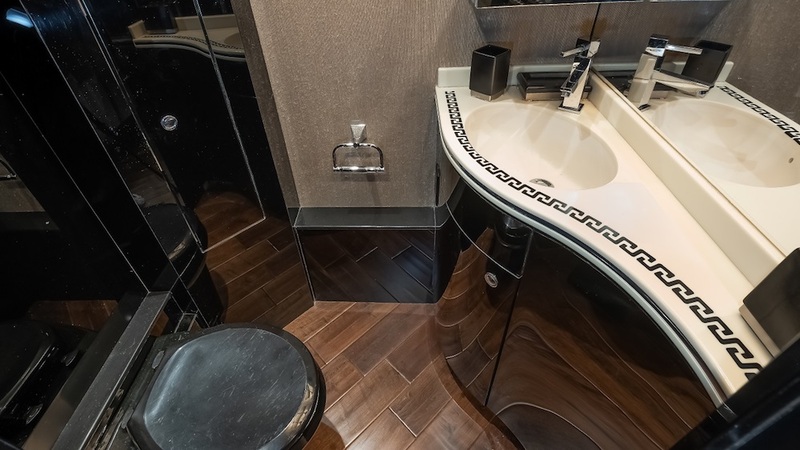 Power J-Booth With Power Table Allows For Ample Dining Space. 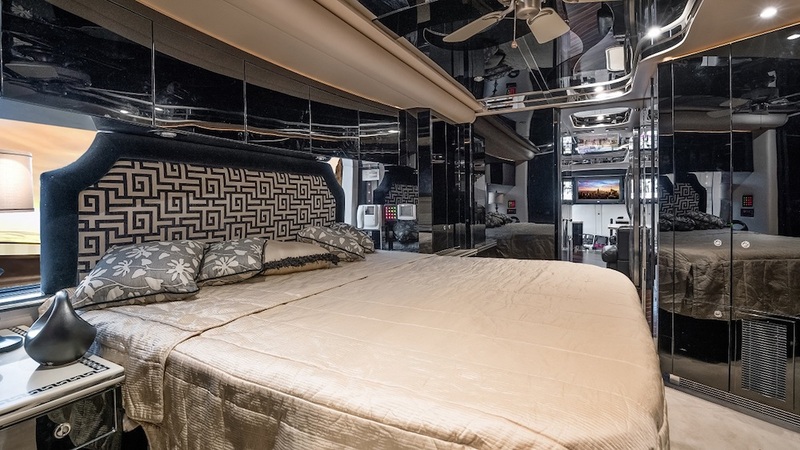 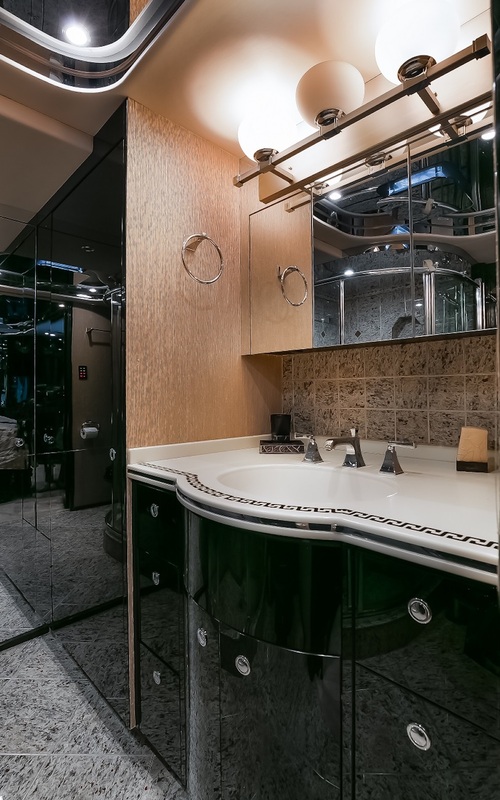 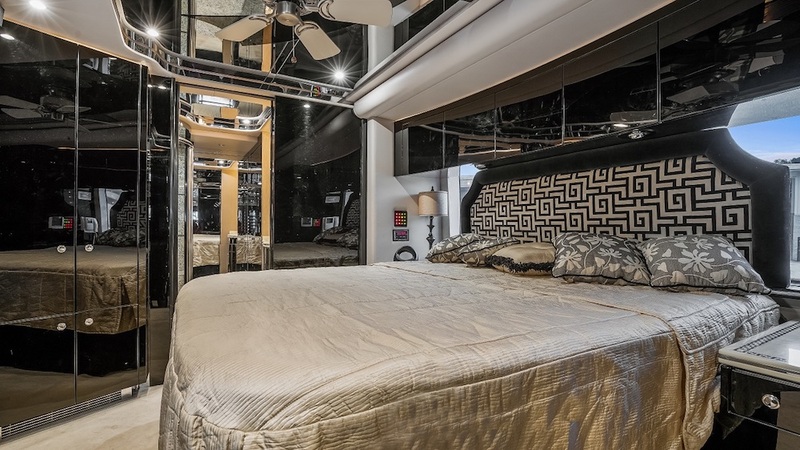 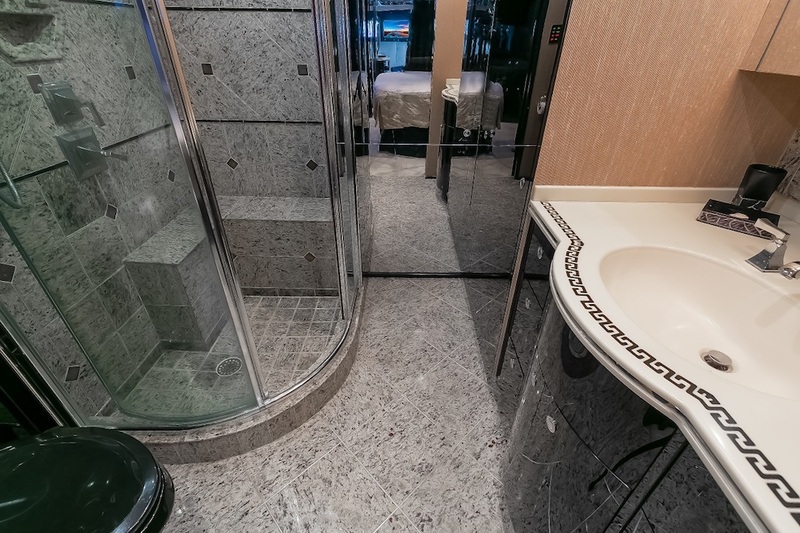 Mid-Ship Half Bath Will Then Lead You To The Master Suite With The King Bed And Full Bath In The Back. 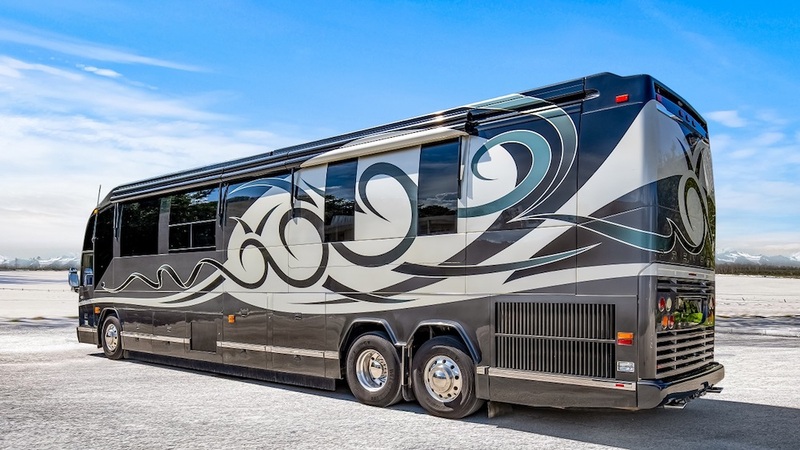 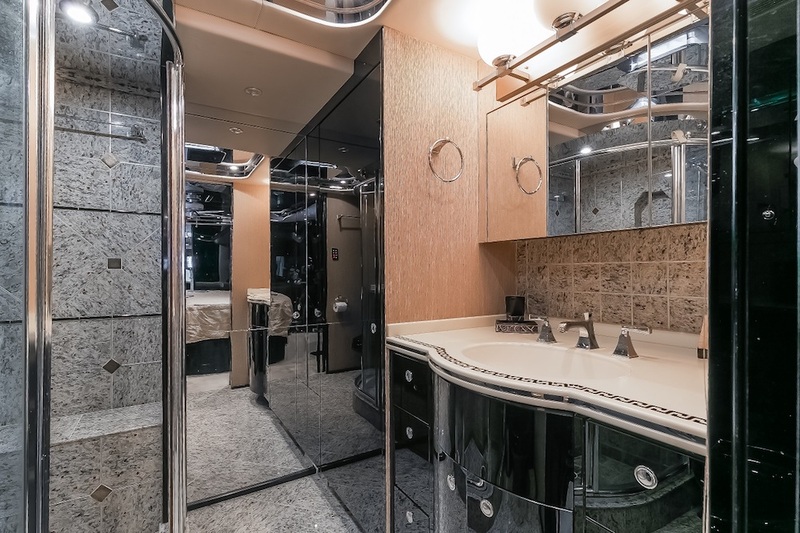 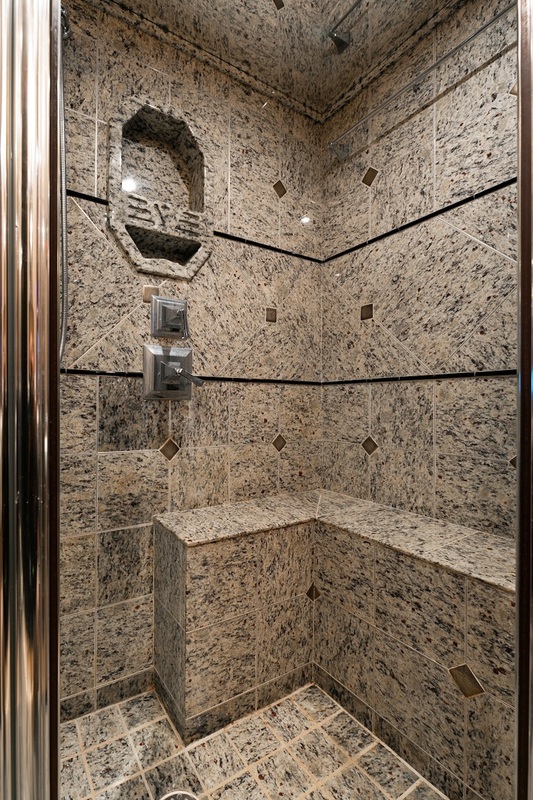 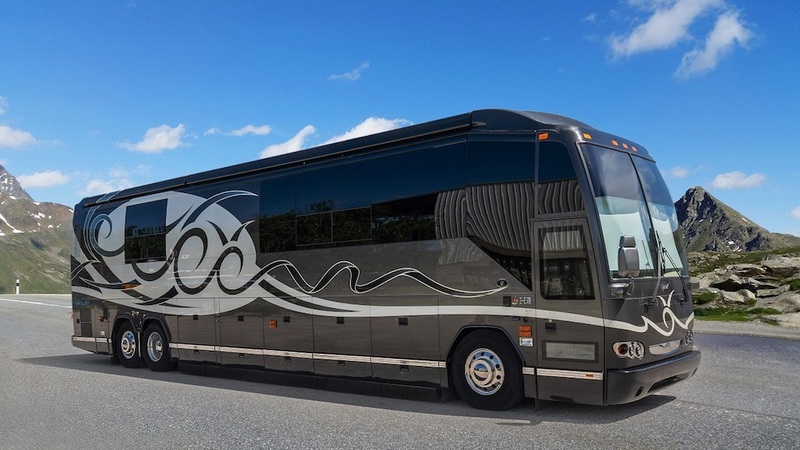 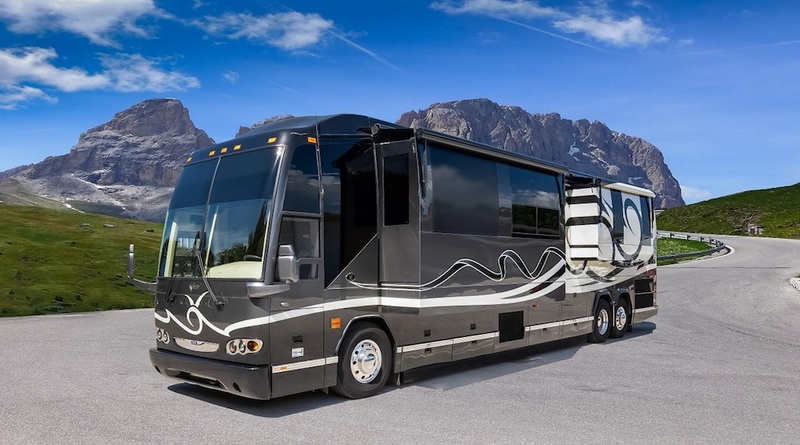 Contact Us Today For Complete Specs On This 2009 Featherlite Vantaré Double Slide Bath And A Half Prevost Conversion.